Provide comfort for the family of Robert Billiter with a meaningful gesture of sympathy. 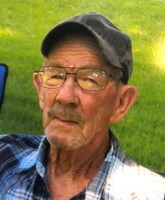 Robert “Lee” Billiter, 86, of Sardis, OH formerly of Kent, OH and Paden City, WV passed away peacefully at Ohio Valley Medical Center on Thursday, March 28, 2019. He was born February 14, 1933 to the late Sherman and Emma May (Stewart) Billiter. He was preceded in death by his wife, Betty Williamson; son, Robert E. Billiter; four sisters and four brothers. He is survived by son, Gary L. (Cynthia) Billiter; daughter-in-law, Kathryn; three grandchildren, ten great grandchildren and eight great-great grandchildren; three brothers, Daniel, Ervin and Odell; two sisters, Pauline and Jane and his companion, Karen Harkless and several nieces, nephews and cousins. Friends received 1 p.m. until time of service at 3 p.m., Saturday, March 30, 2019 at the Jarvis-Williams Funeral Home in Paden City with Apostolic Christian Church minster, Mark Ramsier officiating. Burial at the convenience of the family in the Kendal Cemetery on Gamble Run. Memorial contributions may be made, in Lee’s name, to American Cancer Society. To send flowers in memory of Robert Lee Billiter, please visit our Heartfelt Sympathies Store. Provide comfort for the family of Robert Lee Billiter by sending flowers. DANNY, SORRY FOR YOUR LOSS. YOU ARE IN MY THOUGHTS & PRAYERS. I AM IN HOSPITAL SO NO WAY I CAN BE THERE OR I WOULD.